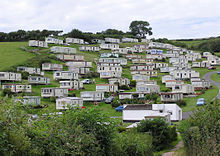 In the United States, these homes are regulated by the U.S. Department of Housing and Urban Development (HUD), via the Federal National Manufactured Housing Construction and Safety Standards Act of 1974. This national regulation has allowed many manufacturers to distribute nationwide because they are immune to the jurisdiction of local building authorities. :1 By contrast, producers of modular homes must abide by state and local building codes. There are, however, wind zones adopted by HUD that home builders must follow. For example, statewide, Florida is at least windzone 2. South Florida is windzone 3, the strongest wind zone. After Hurricane Andrew in 1992, new standards were adopted for home construction. The codes for building within these wind zones were significantly amended, which has greatly increased their durability. During the 2004 hurricanes in Florida, these standards were put to the test, with great success. Yet, older models continue to face the exposed risk to high winds because of the attachments applied such as carports, porch and screen room additions. These areas are exposed to "wind capture" which apply extreme force to the underside of the integrated roof panel systems, ripping the fasteners through the roof pan causing a series of events which destroys the main roof system and the home.